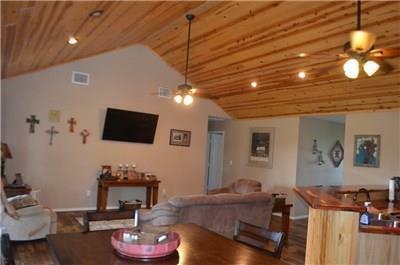 1975 County Road 106, Columbus, TX 78934 (MLS #98458719) :: TEXdot Realtors, Inc. 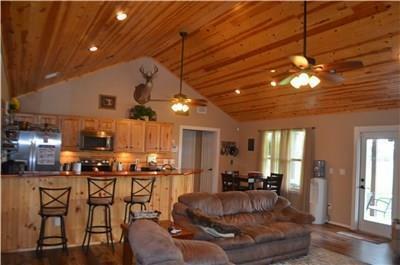 This country home sits on 6.240 acres of stunning live oak tree's scattered thru the property. Sparkling stocked pond right out your back door! This home features an open concept with pine cedar vaulted ceilings in the living area and two rustic ceiling fans great for your family to enjoy! Spacious open kitchen with a cedar breakfast bar overlooking the dining/living room area perfect for entertaining. 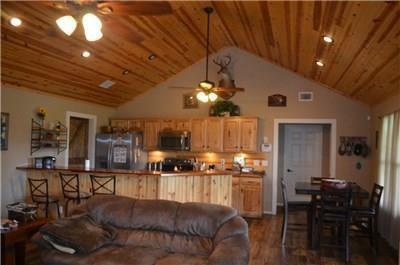 There is also a formal dining room or movie room with a wall of built-in cabinets with custom built barn doors. All three bedrooms are together down the hall with a full guest bathroom.Enjoy the mornings and evenings watching wildlife on the front or back porches. 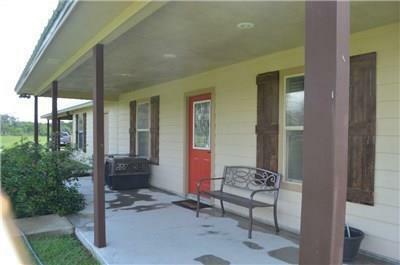 The property features a an attached carport and a 2 car attached carport to allow additional covered parking.